← The McGuigan Killing: Shocking New Admission Of Responsibility! Thebrokenelbow.com is proud to announce a competition to rename the Northern Bank building which was the scene in December 2004 of what was then the largest robbery in Irish or British criminal history. The IRA is believed to have been responsible and stole £26.5 million from the bank’s vaults in a mixture of new and used notes. 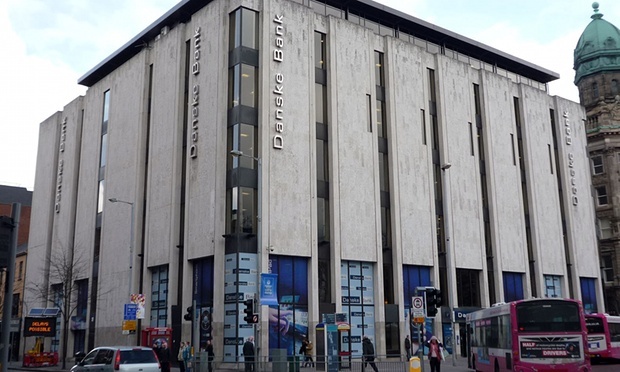 The Guardian today revealed that the bank, which the paper describes as a classic example of ‘brutalist’ architecture, has been listed as a building of historic or architectural interest by the Department of Environment. However the DoE has not yet announced what name the building will be given and so to assist the process this blog is inviting readers to make their own suggestions. The winning prize will be, as usual, a lifetime subscription to the blog. To start the process, here is thebrokenelbow.com’s own suggestion: Bobby Storey House. This entry was posted in Uncategorized and tagged IRA, Northern Bank. Bookmark the permalink. Northern command multi Storey Pension Park?